Home » Community and Society » Travel & Tourism » Prince Harry arrives today in Belize! Prince Harry arrives today in Belize! His Royal Highness Prince Henry of Wales, also known as Prince Harry, arrives in Belize today Friday, March 2st. Prince Harry’s visit to Belize is part of the Queen Elizabeth II's Diamond Jubilee celebration. The Prince is expected to arrive at 4:25PM on board a private jet at the Phillip Goldson International Airport. He is will be greeted by some of Belize's highest leaders and the Governor General of Belize His Excellency Sir Colville Young. The visit by the adventurous Prince is his first trip to Belize and is expected to last a little less than 24 hours. Even though Prince Harry will be on an official visit, the occasion will allow the Prince to experience many of the country’s natural wonders and the extraordinary and diverse cultures of Belize. The Royal Visit has attracted the attention of international and local media houses. Considering the importance of the visit, the Government of Belize will be maintaining strict security but will still allow for Belizean interaction with the Prince during his various stop-off points. So how does the Prince feel about his visit to Belize? In speaking to the Belizean media, Prince Henry’s Press Secretary, Miguel Head indicated that "the Prince is excited." According to Head, "The Prince is delighted to be able to come to Belize. He was asked by the Queen to represent her Majesty during her Diamond Jubilee this year. He has heard a lot about the country from the Queen and his brother, and for him, it is a wonderful opportunity to extend the Queen's good wishes to her people in Belize on the occasion of the Diamond Jubilee, but also to look around this beautiful country for himself. There is a lot to see here and there is a lot that he is going to get to know and hopefully he will get a chance to come back in the future." What makes the Prince's visit to Belize singular to the itinerary of other countries he will visit? Head says that it is the multiple cultures that exist in one country. "It has so many people with so many backgrounds…also the Maya Year, a very significant time to come. It has places with great contrast; you've got the jungle, the cayes... you have the beautiful cities with history and the combination of all these places makes it a special place to come." According to Head, Prince Harry has indicated that he wants to meet as many Belizeans as he can during his almost 24 hour visit. "For the Prince, if he does that, then he will feel that it has been a successful visit." The Prince, who is a Captain in the British Army, is considered to be a very informal person during his normal life and enjoys interacting with people, but at the same time someone that represents dignity for the British Monarch. As such, Head says that "you will see a great mix of Prince Harry, both as a Prince and as the person when he is here. I am sure he will have enormous fun especially if the Belizeans lead him into the fun." According to the Marketing Director for Belize Tourism Board Yanick Dalhouse, "Belize will have His Royal Highness caught-up in the moment," a visit that "will encourage him to be one with adventure." Prince Harry’s official visit comes 18 years after Queen Elizabeth II visited Belize in February of 1994. The Royal visit will be covered by many international and local media. The San Pedro Sun will have regular updates and live streaming video from various locations on our website at https://www.sanpedrosun.com/series/royal-visit-to-belize/ while Prince Harry is in the country. 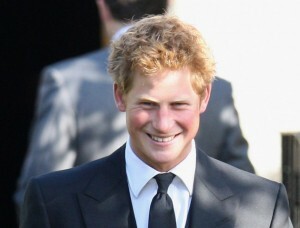 Prince Harry will visit Belize: Royal Family plans for Queen's Diamond Jubilee unveiled!